BSA security windows are age resistant, this has been proven in many tests. 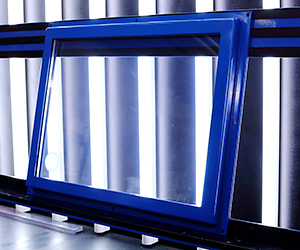 We also produce specific glass which is resistant to burning material (chippings) and also coolants. 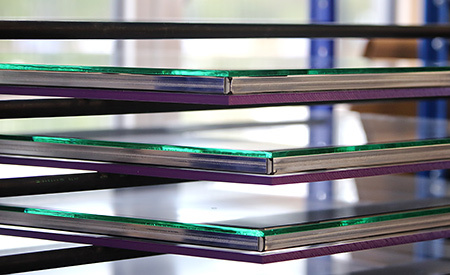 Our glass sheets comply with the European standards EN 12415, EN 12417 and EN 13218 and meet all the protection requirements. The sheets comply with the recommendations of the VDW. For undamaged glass and protectents, we provides a warranty of 5 years on the safety restraint. Regardless of the amount of coolant or burning debris exposure we ensure maximum safety and absolute transparency. All BSA safety sheets are free of silicone and silicone-containing materials. Creative solutions to problems and an “eye for safety” are our strengths. The intensive and skilled customer-specific advice and the strong capacity for cooperation are particularly typical of BSA. They are the basis of the outstanding quality we offer through our products and processes.